After announcing the UX21 ultrathin notebook, which is expected to have a fierce battle with Apple’s MacBook Air, ASUS is apparently taking further advantage of the pre-Computex buzz and keeps on unveiling new and thrilling devices. 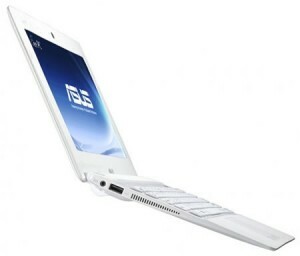 The Taipei-headquartered company will soon start selling its latest Eee PC, dubbed X101, with a MeeGo operating system. According to ITProPortal, this well-designed mini-notebook measures only 17.6mm at its thickest point and is the new addition to the company’s ultrathin portfolio. The X101 is reportedly built-around the yet to be released Intel Atom N435 chip. This Pineview central processing unit is claimed to be manufactured in 45nm technology and should deliver 1.5GHz of core frequency, DDR2 RAM and up to 5W max. TDP. ASUS has supposedly equipped the thin and light mini-laptop with a 10.1 widescreen display, an integrated web camera for video chats, five-row chic-let keyboard and a two-cell 28Whr Lithium-ion battery. Further features include Wi-Fi/ Bluetooth connectivity, an HDMI interface, an optional 3G modem and a starting weight of just 950g. Apparently, customers will also be able to “enjoy” the company’s App Store along with ASUS @Vibe, which is “a one-stop entertainment content store for anyone to enjoy a variety of exciting digital contents”. Another version (X101H) with an HDD/SSD hybrid drive and Windows 7 OS will reportedly go on sale, too. Still no word on availability, but it is known that the mini-laptop will have a starting price of about US $199.